The mandate of the Education Committee is to identify and address issues and problems concerning all aspects of the continuing education of society members. The Education Committee is also concerned with the involvement of students in the Society, as well as the geotechnical education at Canadian universities. 2019 Competition: The Call for Submissions for the 2019 CGS Student Competitions has been sent, and additional reminder emails will follow in the coming months. The competition will be completed over three months and the winners will be announced in early June, 2019. Once again the Graduate Student Presentation Award winner will be invited to present at the CGS Conference this Fall. For more details, please contact Ryley Beddoe at ryley.beddoe@rmc.ca. 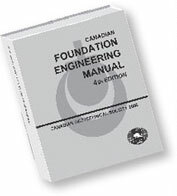 The Canadian Foundation for Geotechnique National Graduate Scholarship, valued at C$5,000, was established by the Canadian Foundation for Geotechnique in 2007 on the occasion of the 60th Canadian Geotechnical Conference. CGS Education Committee is administering the scholarship. The next Canadian Young Geotechnical Engineers and Geoscientists Conference will be held September 26-28, 2019 in St.John's, NL. Delegate registration will be available March 18, 2019. Following the successful GEOpardy! event sponsored by Golder Associates at the Pan-Am Conference in 2011 and the annual CGS conference since, the committee will work with Golder to continue this event for the 2019 conference in St. John's. The Canadian Foundation for Geotechnique is offering a $5000 (CAD) award to a full-time post-graduate student at a Master’s level attending a Canadian university whose research focus is directly related to the field of geotechnique. The award is granted primarily on the basis of academic excellence, the purpose and relevance of the research project to the practice of geotechnique, and the quality of the research summary. Eligible programs include geotechnical engineering, mining engineering, geoenvironmental or geoscience, engineering geology, and hydrogeology. Students who have displayed activity in volunteer or leadership roles in geotechnique will receive special consideration. The Award Committee also requires that the supervisor of the Master’s student provide a statement endorsing the application. Official transcripts of graduate level courses. A statement of support from the research advisor endorsing the application. A 500-word synopsis of their research project describing the purpose and relevance of the expected or actual outcome, and how it is expected to improve the current state-of-practice in regards to geotechnique. A statement regarding the expected time to completion of the thesis should also be included. Students wishing to apply should have completed all course work in their Master’s program. Nominations are limited to one per academic department and can be made in English or in French. Submissions are to be submitted electronically to the administrator of student competition award Dr. Ryley Beddoe at Ryley.Beddoe@rmc.ca. Nominations for the award will be accepted until May 1. The CGS is launching pilot tests of Student Chapters for September 2019 and we want your university to apply! Student Chapters provide university students an opportunity to raise awareness and learn more about our field, network with professionals, and gain leadership experience through creating an organization within the CGS. Information about the application can be found under the Reports/Documents section of this page. If you have questions or are curious to learn more, reach out to maraika.degroot@queensu.ca. The Early Achievement Award is intended to recognize outstanding accomplishments provided by members in the early years of their career. It focusses on the excellence of technical realizations and contribution to practice/industry and the services provided to CGS and the profession from a young professional. Nominations are now being accepted! This award will be presented for the first time at this year's annual conference, GeoSt.John’s 2019. Further information and nomination criteria for this award can be found under the Reports/Documents section of this page, and in the CGS Awards Manual (available on the members-only section of the CGS website). Please contact the chair of the Education Committee if you have any comments or suggestions at tareq.salloum@gmail.com.